Summertime in the south means peaches. 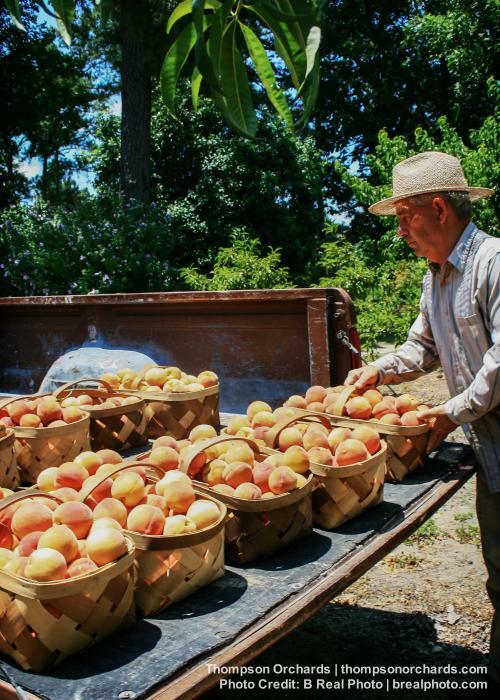 And while Georgia is known as the "peach state", North Carolina roadside stands are full this time of year with fresh-picked, locally grown peaches. 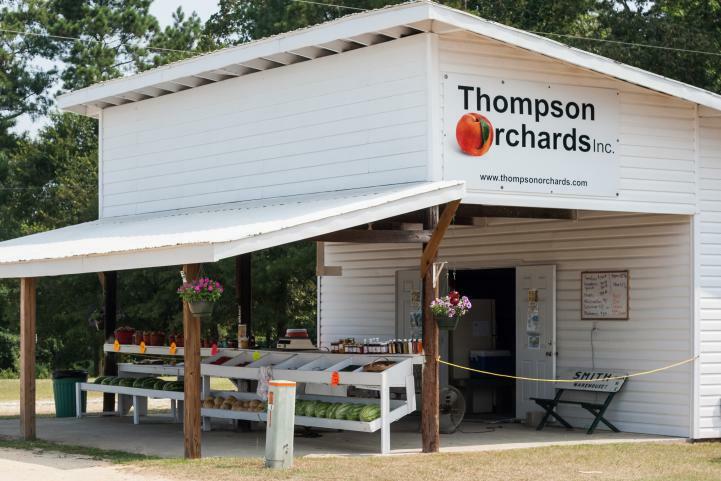 In Johnston County the best place to go is to Thompson Orchards in Four Oaks. The produce stand associated with the orchard exists on a two lane highway outside of town. It&apos;s a white painted wooden structure straight out of a picture book where the sweet, juicy fruit of summer can be purchased by the peach or by the peck... you could go maybe even go up to a bushel, but that&apos;s a lot more peaches than you think it is. Thompson Orchards and its produce stand have been in business for over 30 years, owned by Vernon and Pat Thompson. The stand started small and just kept growing. The Thompson&apos;s also operate the peach orchard, with over 100 trees. Most of the peaches produced are for sale at the stand, but some get turned into homemade, delicious, creamy peach ice cream for sale at the stand as well. You can also find jams, preserves, and a multitude of popular and in-season fruits and veggies - tomatoes, watermelon, squash, corn, potatoes, and more. The hours of the stand are based on supply, but Thompson posts their hours on their Facebook page weekly, here. The stand is located at 4301 US Highway 701 South, Four Oaks, NC. 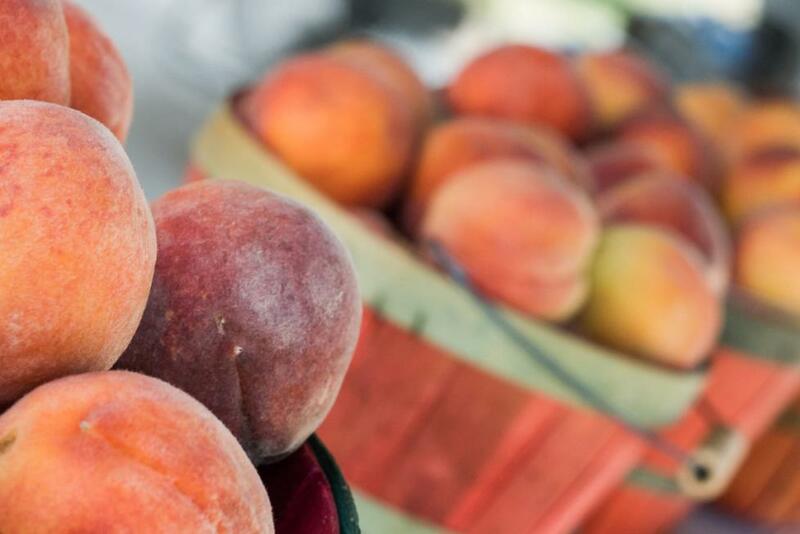 If you&apos;re not the sort to enjoy biting into a peach like an apple, fuzzy skin and all, then find a peach recipe to try - crisps, cobblers, marinades, turnovers, and more. Find a plethora of peach recipes on our website here. There are many remembrances of simple summer pleasures that keep us warm through the frost of winter - splashing in sun-warmed water, the smell of honeysuckle on the vine, the sizzling sound a firework makes as it fades, the feeling of grass on our bare feet, and chasing peach or watermelon juice as it escapes down our arm. Stop by Thompson Orchards to experience a few seconds of simple today.